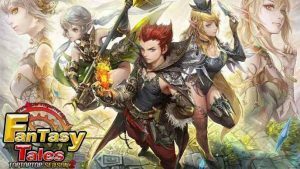 Fantasy Tales : Active battles using real time full 3D graphics. Hello! We apologize for any inconvenience you may have experienced. I’ve received confirmation from a security vendor that Android 9 is not yet supported. We asked security vendors to apply Android 9. Please wait a little while before applying Android 9. Fantasy Tales Admin. The game is great. But after 2 days the game just sit still on title screen. Hello! We apologize for any inconvenience you may have experienced. Does the same phenomenon occur after reinstallation? If the situation persists, please contact help@captains.co.kr Please send your mobile device, OS, and version information. Fantasy Tales Admin. This game is awesome!!! Thank you for sponsoring hobo bros, I would have never discovered this amazing game!!!!!! 5 stars for now, then I will come back later if I encountered any problem(s).